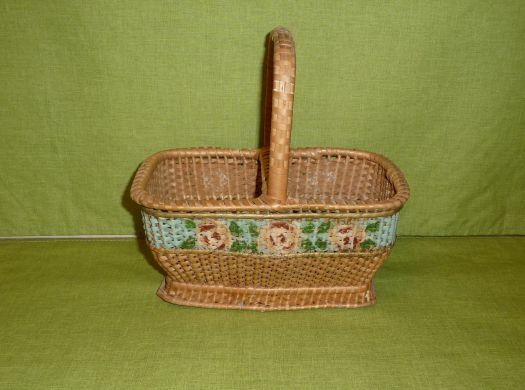 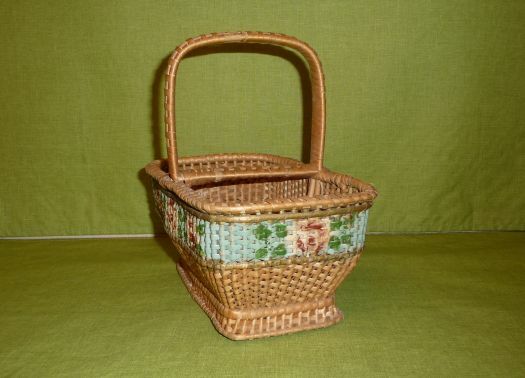 Charming small basket in wicker, with a painted rose pattern. 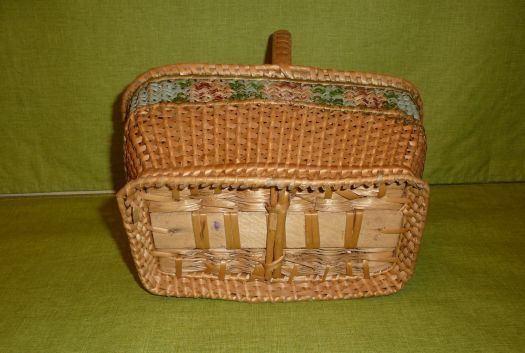 Good condition but the lid is missing (it opened in 2 parts). 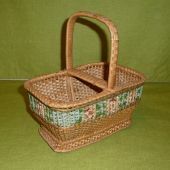 But it remains a nice and charming basket ! 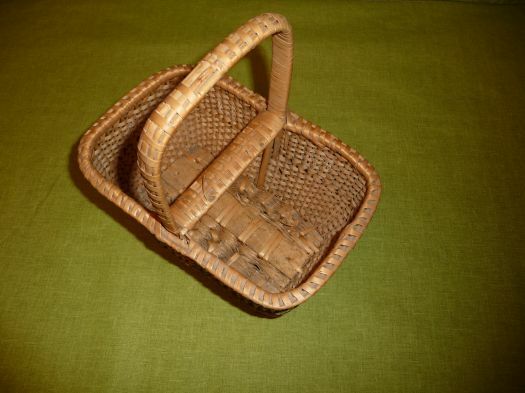 22 cm x 14,5 cm ; total height 22 cm.